On every front except work, 2016 was a bad year for me. Not in big ways; I didn’t have any major setbacks, bad injuries, or dramatic blowups. It just sucked in a low-key but consistent way. It was bad in terms of the goals I set myself at the start of the year, too. I haven’t written about yearly goals since 2013. Time to revive the practice. I’ve been blogging regularly since 01 August 2006: every day for that first year, five times per week for four years after that, and at least once per week since 01 August 2011. Now it’s time for a break. Following last week’s post, this is about my progress using the OS X window manager Slate. My primary objective is to be able to define a set of window layouts for specific tasks—such as writing a blog post—and then easily invoke them. This is more difficult than it sounds, but I’ve more or less made it work. However, in part due to restrictions in OS X, it’s not as useful as it could be. I had intended to write a post about how I’d made it do a variety of nice things, but that will have to wait until next week. 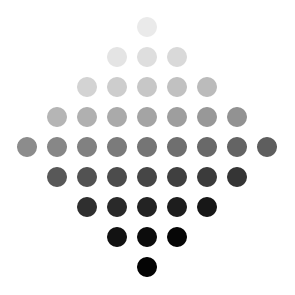 I’ve been a subscriber to the San Francisco Chronicle for almost 13 years, the entire time I’ve lived in the city. I started that subscription because I was used to living in a household where newspapers were a daily staple, and because I wanted to support local journalism. I also felt that major cities should have newspapers and I should thus support the city paper. And now I’m ending my subscription. Short post today since I’m on vacation, but I can recommend the pies at Random Order. Hope your weekend was a good one! As I’ve written previously, I tend to get frustrated when companies stop making products I like. On the other hand, presumably this turnover of products has a part to play when I find things that I like; perhaps my complaint is more that production should be halted on things that other people like, not things that I like. The third season of my D&D campaign starts Monday, and I’m going to discuss some of what I’m trying to do in it—without, naturally, giving anything away to my players. Season One and Season Two were good, and I really liked doing them, but the environment for the third season is where I had intended the whole thing to be set when I first came up with the idea for the world: a continent that had been cut off to everyone for a very long time, a place where I could do a kind of cross between Joe Abercrombie and Deadwood . The rhythm of the drive over the bridge was different. The tempo was similar to that of any slow day, but torrential rain an hour earlier had added a new beat. Now each segment of the bridge imposed its full three dimensions on those crossing: road hiding the bay below and ceiling hiding the sky above, struts and emptiness and landscapes to the left and right, and curtains of water to the front and back. I’ve noticed over the last few months that I’ve had more and more difficulty writing about political subjects for my blog. This ranges from commentary on overly political matters such as legislative and judicial decisions to socio-political topics such as various forms of discrimination. 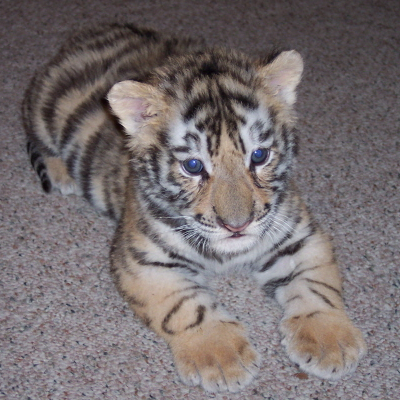 This kitten grew up into “Mike VI”, the mascot of the LSU Tigers. Note that I’m not an LSU supporter, and this post doesn’t constitute approval of domesticating tigers or using them as mascots. When I moved to Ireland from the US as a kid, I had never gone to a football game. I don’t really remember watching any football on television either, and was mostly aware of the sport via playing it—the two-hand touch version—on the street. As a result of this, I had no defined pro football allegiance. I was still attracted to the game as a spectator, and was able to see short snippets of it on Channel Four, a British television station that did a weekly hour-long highlight show covering the NFL. In the absence of regional holds on my loyalty, I gravitated towards teams for stylistic reasons. This was the Montana–Rice era, and I completely fell for the precision passing attack of the San Francisco 49ers. They’ve been my favorite football team since. I had five goals for 2012 and didn’t achieve many; arguably only one. I don’t feel too bad about this, partly because the most positive things for me last year weren’t related to anything on that list. Even so, I hope to do better this year. Light posting for the next while, because I’m on vacation. I hope I see you over the holidays; either way, have fun! I mentioned last week that I wanted to work on “better bookmarking” as my next coding project, basing my approach off of my own thoughts and recent Mozilla research. Now I want to examine what that project might be like. Given how often I’ve stressed the need to back up your stuff, it may seem odd for me to claim that it’s possible to have too many of them. But in some senses it is, which is why I’m writing this post as I’m copying files to my main hard drive from a virtual machine running Ubuntu that’s mounting an OpenBSD drive via a USB-SATA adapter. I recently finished the second season of my D&D campaign, and want to review the season just as I did with the first one. I’ve been experimenting with using terminal Vim in a tmux environment recently. I like it as a programming setup, primarily because of the ease with which I can set up new workspaces and switch between them—without, of course, having to move my hands off the keyboard. I did encounter some annoyances along the way, and my solutions for them are included below. The death of my old MacBook Pro this evening has caused the loss (hopefully only temporary) of the blog post I was working on today (on androids in Alien and Prometheus ), which I will try to recover and finish next week. In the meantime, here are some interesting things I encountered on the internet this week. Unless otherwise stated, all content copyright © Tadhg O'Higgins 1992–2019.